Award-winning chef, Jesus RamiroÂ Flores says food is to be enjoyed,Â whether cooking or eating it. BrindaÂ Gill certainly enjoyed meeting him. With his forearms adorned with tattoos that include the word â€œhelloâ€ in the Tibetan script and a tattoo of a deep pink lipstick mark on his neck, Chef Jesus Ramiro Flores Jr, 36, instantly cuts an interesting figure. Recipient of the â€œChef lâ€™Avenirâ€™â€ or Chef of the Future award by the International Academy of Gastronomy in his 2nd year (and the youngest chef to receive it) Chef Ramiro loves to travel and to learn about the local ingredients and cuisines of the places he visits. He brings these influences to bear on his own cooking that spans an array of preparations from wholesome soups to elaborate wedding feasts, from authentic Spanish dishes to his signature creations. 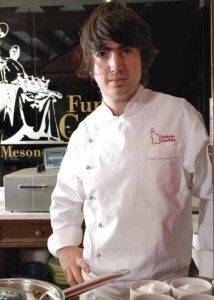 Chef Ramiro Jr was born in Valladolid, the capital of the province of Castile and Leon, north of Madrid, popularly called the tapas capital of Spain and renowned for its culinary heritage and Escuela Internacional de Cocina (International School of Culinary Arts). In a city blessed with beautiful architecture and a vibrant Born in Valladolid, Chef Jesus Ramiro Flores made an early start in his chosen career november-december 2017 Sommelier INDIA 73 culinary heritage, young Ramiro grew up watching his family members cook meals and enjoy meals together. 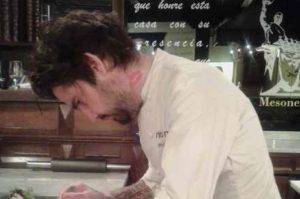 He started working at a restaurant at the age of 14 and credits his interest in cooking to his father Chef Jesus Ramiro Sr, famed for his haute cuisine, molecular gastronomy and culinary research. His father in turn is deeply appreciative of his sonâ€™s culinary skills, as is the culinary world of their restaurant, Restaurante Ramiroâ€™s, located at the top of the Museum of Science building in downtown Valladolid. 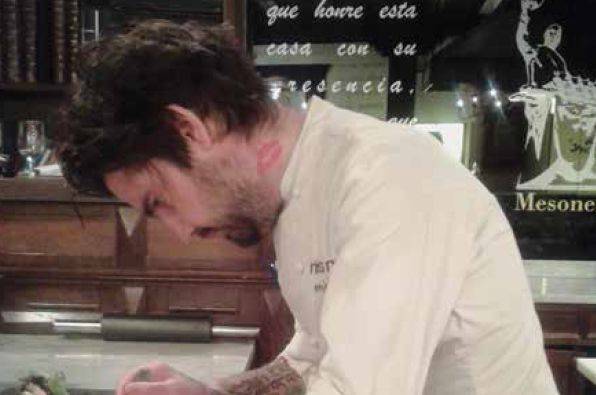 Opened in September 2006, the restaurant received a Michelin Star within a year of its opening, making Chef Jesus Ramiro Jr the youngest chef in Spain to receive this mark of recognition. The restaurant has also twice received the Repsol Sun, a distinction awarded to the best restaurants and chefs by The Association of Friends of the Spanish Royal Academy of Gastronomy (Real Academia de GastronomÃ­a) and the Good Food Guild (CofradÃ­a de la Buena Mesa). Chef Ramiro Jr.â€™s twin passions of travel and learning new cuisines have resulted in his working with celebrated chefs at Valladolid, Tenerife (the largest of Spainâ€™s Canary Islands), Madrid, Segovia (at the famous Meson de Candido), and at his fatherâ€™s restaurants in the Dominican Republic, Miami and Puerto Rico. At each place he enjoyed learning about local ingredients from the humblest to the most exotic, cooking techniques and traditional specialities, and then drew from these to give a new expression to a traditional dish or to create a new dish. As a result of all his travels and experiences, Chef Ramiro Jr has seized on one great truth: food is to be enjoyed â€“ both in the processes of cooking it and eating it. Whether itâ€™s a simple tapas or a multi-course sit-down meal, he sees food as a celebration â€“ to be enjoyed with a drink of oneâ€™s preference rather than getting overly concerned about food and wine pairings. His favourite meals are traditional Spanish preparations of Tortilla de Patatas (the thick Spanish omelette made with eggs and potatoes), Alubias y Almejas (beans with clams), Callos de Bacalao (cod stew), and Careta de Cerdo (pigâ€™s cheeks) and the elaborate Solomillo al Hojaldre (Sirloin pastry) prepared his way. He doesnâ€™t wrap the sirloin in pastry, and does a sirloin purÃ©e on the side. Preferring to cook with local and seasonal ingredients, Chef Ramiro Jr is always on the lookout for what is new and fresh in local markets. Bringing out the aromas, colours and textures of ingredients, with each contributing to the sensory experience of the dish, coupled with an attention to detail in creating preparations that are a visual delight â€“ this is what he enjoys most. Next Article Letter from the Editor – New Issue of Sommelier India in Circulation!